Misiones. The northeastern province of Argentina, situated between the river Paraná and Paraguay, with its borders on the east with Brazil, on the northwest with Paraguay, and on the southeast with the province of Corrientes. Its area is 29,800 sq km, and it has 1,101,593 (2010) inhabitants. 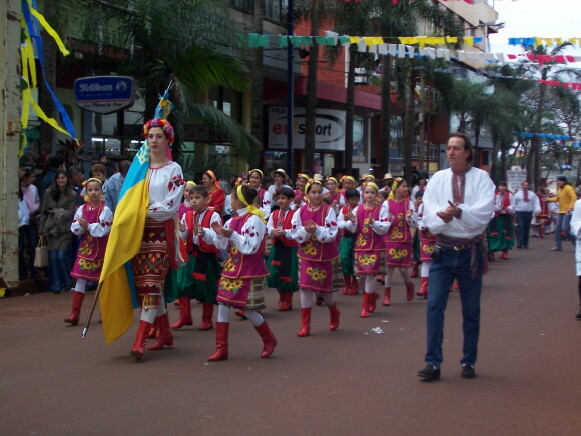 Misiones was the first region of Argentina to be settled by Ukrainians and has the second-largest Ukrainian population in the country (after the Buenos Aires region). The first settlers arrived in 1897, and by 1914 the community had grown to more than 10,000. During the interwar period 20,000 Ukrainians from Volhynia and Polisia and 3,000 from Bukovyna and Transcarpathia moved into the earlier-settled Apóstoles region, in addition to establishing new settlement areas in L.N. Alem and Oberá. The majority of the settlers worked as agriculturists and adapted to local farming methods and crops quite readily. After the Second World War additional immigrants arrived in the province from the displaced persons camps in Germany as well as from Paraguay. 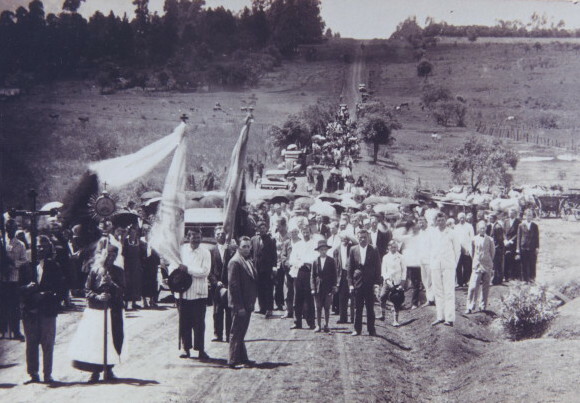 By the 1980s the 70,000 Ukrainians in Misiones constituted 10 percent of the province’s total population and approximately 25 percent of the country’s Ukrainians. Ukrainians are distributed in almost every place in the province of Misiones as follows: in the district of Apóstoles, Las Tunas, Tres Capones, Capon Bonito, San José, Sierra San José, Tuna; in the department of Posadas, Posadas, Parada Leis, and Fachinal; in the department of Candelaria, Campina; in the department of L.N. Alem, Gob, López, Picada San Javier, Bonpland, Picada Belgrano, Picada Galitsiana, Arroyo del Medio, Cerro Azul, Campinas, and Gen Guemes; in the department of Concepción, Concepción de la Serra and Santa Maria; in the department of San Javier, San Javier, Florentino Ameghino, and Itacaruare; in the department of Oberá, Panambi, Los Helechos, Campo Ramón, Guarani, San Martin, Chopa, Quinta Sección, Campo Viera, and Novena Sección; in the department of San Ignacio, Jardin America and Nacanguazú; and in the department of Cainguas, Campo Grande, Aristobulo del Valle, and Seguin. 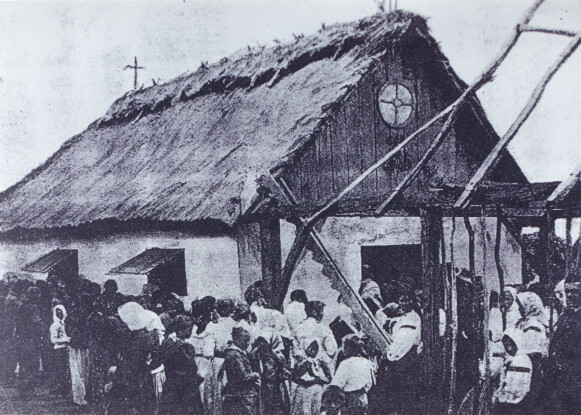 Community development in the province began early in the 20th century with the establishment of church parishes, choirs and amateur theater groups, and reading rooms. 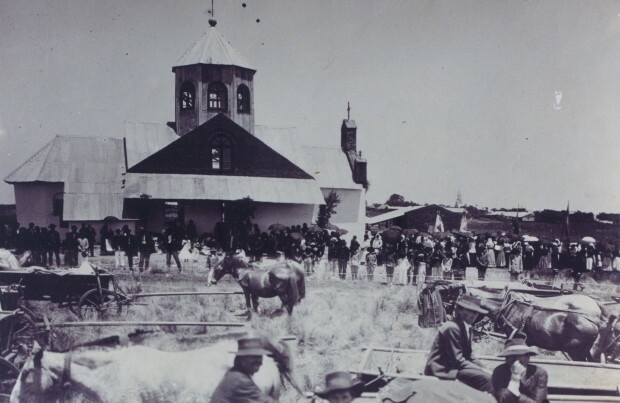 By 1922 there was a brick church, a school, and a Prosvita society in Apóstoles. In 1948 the Basilian monastic order established a printing press in Apóstoles. The Basilian brothers operate the Saint Josafat seminary for boys and a junior high school for girls in Apóstoles and a high school in Posadas. During the 1970s monuments to Taras Shevchenko were put up in Apóstoles and Oberá. Because of their large numbers and their continuing presence, Ukrainians have been recognized for their contribution to the development of the province. Likewise, the compact nature of their settlement has assisted them in maintaining a group identity.